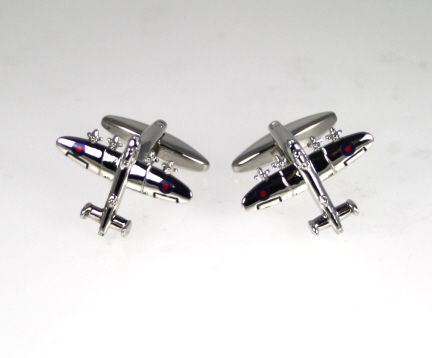 A nice pair of Lancaster Bomber Cufflinks. Our aircraft products are always very popular with ex servicemen who have seen service. A stitched motif Lancaster Bomber Aircraft Tie. Available in Navy. A black leather wallet with a Lancaster aircraft embossed on the front and a camouflage pattern internal lining.